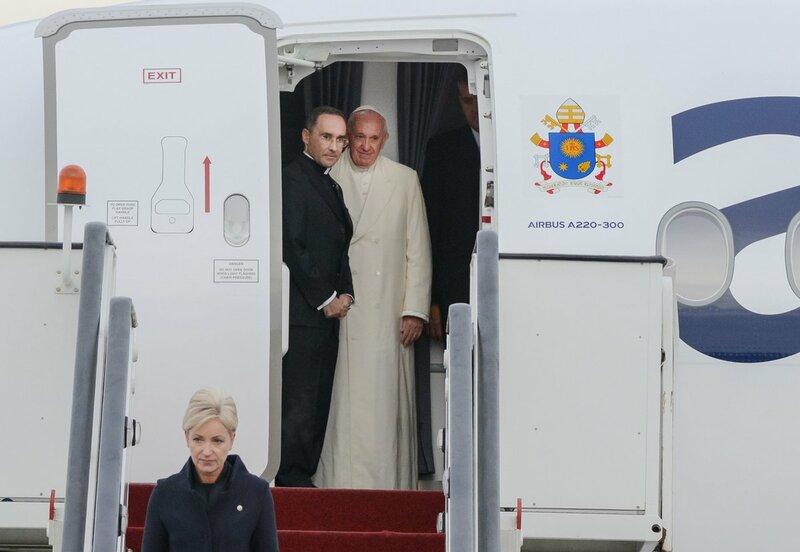 The Latvian airline airBaltic is the official airline for Pope Francis and his official delegation on their trip to Lithuania, Latvia and Estonia this week and welcomed the pontiff on one of its super comfortable Airbus A220s. 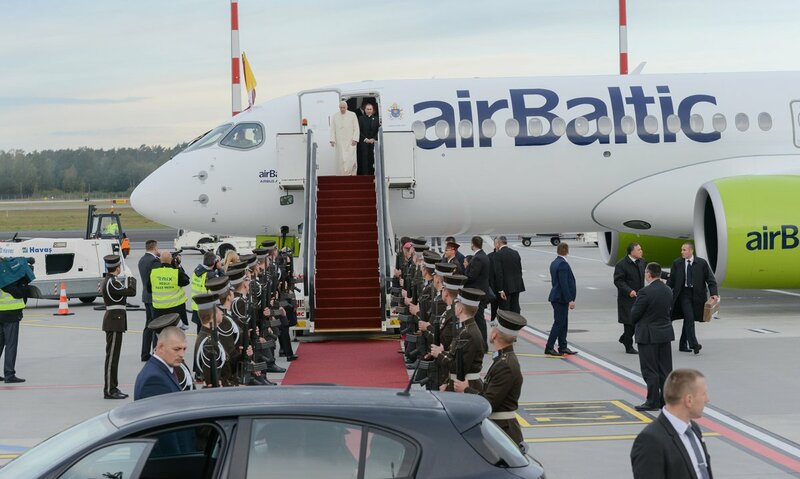 airBaltic will host the delegation on their journey from Vilnius, Lithuania, to Riga, Latvia, to Tallinn, Estonia, and from Tallinn to Rome, Italy today and tomorrow. 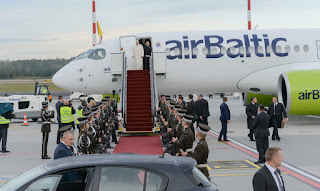 The growing airline currently serves over 70 destinations from Riga, Tallinn and Vilnius, offering the largest variety of destinations and convenient connections via Riga to its network spanning Europe, Scandinavia, the CIS and the Middle East. 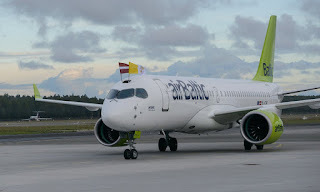 For summer 2019, airBaltic has introduced three new destinations from Tallinn to Malaga, Brussels and Copenhagen. In addition, next summer airBaltic will launch a new direct route connecting Riga and Stuttgart. 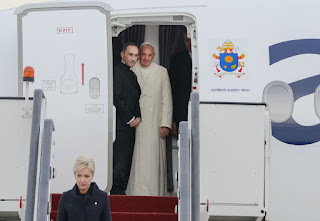 During a special service at the Evangelical Lutheran cathedral in Riga, Latvia the Pope warned that Christianity ran the risk of becoming a relic, little more than a tourist attraction or a museum piece. “We can take what gives us our very identity and turn it into a curiosity from the past, a tourist attraction, a museum piece," he said during the service. Warning "We could even say that our whole Christian tradition can run the same risk. The risk of ending up as a museum piece."